Tamera Loerzel is a partner of ConvergenceCoaching, LLC, a national leadership and marketing consulting firm dedicated to helping leaders achieve success. Tamera is committed to help her clients capitalize on opportunities to transform their practices and businesses on a foundation of unity and trust in their leadership teams through retreat facilitation and strategic planning, in-person and virtual leadership training programs, and individual coaching. 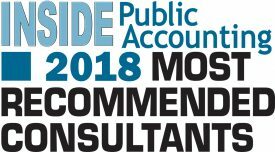 Named as one of Accounting Today’s 2018 People to Watch in Accounting, INSIDE Public Accounting’s Top 10 Most Recommended Consultants, and AICPA / CPA Practice Advisor’s Most Powerful Women in Accounting, Tamera has worked in both the public accounting and IT sectors before becoming a partner at ConvergenceCoaching. She managed the BDO USA Minneapolis consulting group and implemented their middle market financial software service methodology and the customer relationship management software her team used to manage their sales, marketing, and customer support processes. In addition to her local responsibilities, she directed the national sales and marketing efforts of the package solutions group at BDO. Prior to BDO, Tamera acted as the National Sales Manager for State of the Art, Inc. (now known as Sage Software, Inc.), where she was responsible for financial systems sales, CPA programs, marketing communications and recruitment, and channel communications. Tamera is committed to giving back to the accounting profession through volunteerism and is a founding member of The CPA Consultants’ Alliance. Tamera is a member of the Minnesota Chapter of Sales and Marketing Executives, Toastmasters, the national and local chapters of the Association for Accounting Marketing (AAM), and the Association for Accounting Administration (AAA). Tamera served on the planning committees for the AICPA Practitioners Symposium and AICPA TECH Conference and has served as Chair for Information Technology Alliance (ITA) Fall Collaboratives. Tamera is a frequent facilitator, speaker, teacher, and coach and has written articles for several state and national CPA publications and associations, such as the CPA Insider, Accounting Today, The Progressive Accountant, AAM Minute, MNCPA Footnote, WSCPA’s The Washington CPA, and MSI Global’s Smarter Practices on the topics of employee engagement, sales and marketing, leadership, and succession planning. Tamera regularly practices yoga to reenergize, enjoys cycling and running, and relishes vacationing and spending time with her husband and three children.